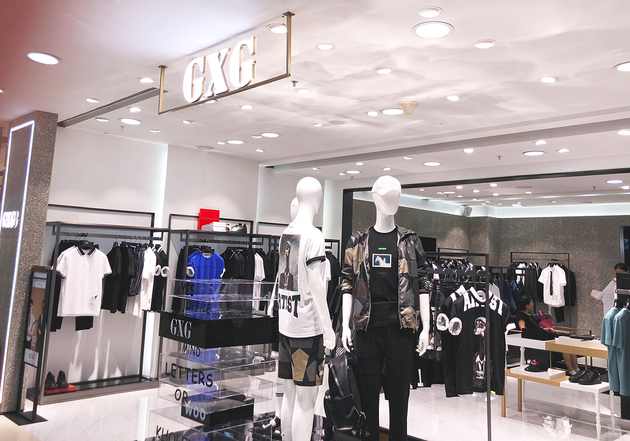 Sept. 6 (NBD) -- Alpha Smart Limited, the parent company of Chinese menswear fashion retailer GXG, recently filed for an initial public offering in Hong Kong. According to the prospectus, L Catterton holds a 73 percent stake indirectly in Alpha Smart. L Catterton is a global consumer-focused private equity firm formed through the partnership of American private equity firm Catterton, French multinational luxury goods conglomerate LVMH and principal investment firm Groupe Arnault. Alpha Smart's IPO size and valuation were not disclosed in the filing. The company saw its revenue increase from around 2.7 billion yuan (395.8 million U.S. dollars) in 2015 to 3.5 billion yuan (513.1 million U.S. dollars) in 2017, representing a compound annual growth rate (CAGR) of 13.7 percent. Net profits rose from 3.4 billion yuan (498.4 million U.S. dollars) in 2015 to 4.2 billion yuan (615.7 million U.S. dollars) in 2017, achieving a CAGR of 10.6 percent. However, the fashion industry is on a downward trend. Tang Xiaotang, an analyst with fashion watcher No Agency, told NBD that along with the slowdown of economy and retail growth is the stagnancy of the apparel industry, and the prospect of brand clothing is not optimistic. According to China Insights Consultancy, Alpha Smart occupied 3.23-percent share of China's fashion menswear market last year. As of June 30, 2018, the company's offline network encompassed 2,213 retail stores across China, including 708 self-owned stores, 538 partnership stores and 967 distributorship stores, says the prospectus. But its pace of store opening has been slowing down. For instance, the company opened 556 new stores but closed 336 last year, and in the first half of this year, it opened 135 but closed 238 stores. At the same time, its debts saw a quick rise. Data shows its liabilities increased from about 1.4 billion yuan (205.2 million U.S. dollars) in 2016 to roughly 3.2 billion yuan (469.1 million U.S. dollars) in 2017, and its net assets dropped sharply to -230 million yuan (-33.7 million U.S. dollars) in 2017 from 1.0 billion yuan (146.6 million U.S. dollars) in the previous year. In the filing, Alpha Smart said it will first use the net proceeds from the IPO to optimize its capital structure and reduce financial expenses, including paying back debts. And then it will expand its brand and product portfolio, upgrade offline retail stores to customer-oriented smart stores, and establish an advanced smart logistics center.